Drink too much in England, and you’re accused of being an Irish drunk. The more Nordic of the Europeans, the Finnish, have hardly found anyone other than the Laplanders who can compete against them in the competition of raising elbows: Kanissa Kvin lappalaiven, they say. 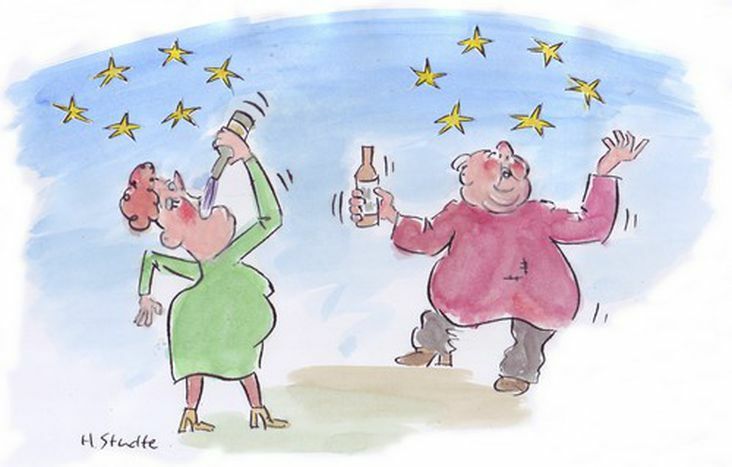 In French, the expression soul comme un Polonais - (drunk as a Pole) comes from their beloved Napoleon who would advise his generals to follow the example of the Polish; notorious drinkers who at the same time have the elegance of never being drunk. An even blunter expression picked up from the Germans: a true booze-up is beyond the Rhine, typical of a Polish man on pay day -betrunken wie ein Pole am Zahltage. The poor Poles who probably didn’t know that after the drunkard stereotype they would have to fight against another urban myth: that of the plumber. Yet to Warsovians, consuming large amounts of alcohol would be a characteristic associated with Russians. Hence people say about a person under the limits of an alcoholic blackout that they are as drunk as a Muscovite - pijany jak moskal.